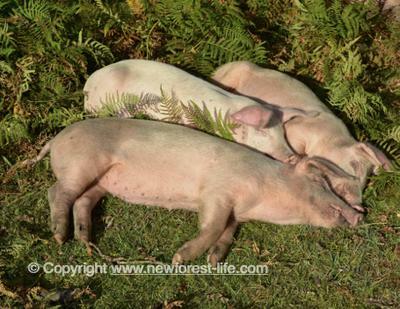 any ideas where we can see the pigs this weekend (8/9 Oct)? I saw the pigs on my Home page last weekend grazing by the edge of the Roger Penny Way Road between Bramshaw and Fritham. There isn't a full postcode for the area so if you look at a map for http://www.bellinn-newforest.co.uk The Bell Inn and start your search from there, hopefully you'll be successful. The road outside the Bell Inn branches right to Bramshaw and left towards the Fritham turn off. Hopefully you'll see them in this area - but it is pot luck I'm afraid.